Need Water Damage Cleaning Cannon Hill services? Call on 0425 029 990 for 24/7 emergency water damage and Flood Damage Cleaning Cannon Hill services. An influx of water into your home or business can happen for any number of reasons; a burst pipe, a washing machine malfunction or a toilet overflow. Regardless of the cause, excess water can have serious adverse effects and cause water damage very quickly. Water damage can cause wood floors to rot, destroy furniture and personal belongings, and even compromise the structural stability of a building. Left untreated, a water emergency can quickly create an environment for mold to grow and pose a serious health hazard to your family’s health. Timing is truly everything when it comes to minimizing water damage. Harmful mold, bacteria and mildew can start to form a mere 12 hours after a water emergency. Within 48 hours, a serious mold problem can occur. Personal property also has a higher likelihood of surviving a water emergency if tended to right away. We treated furniture and carpet immediately. The faster we can extract the water from your business or residence and move forward with the drying process, the less damage will likely accrue. A water emergency is an urgent situation, and we understand that. Thank you for restoring my house! Neat & professional job at a great price! 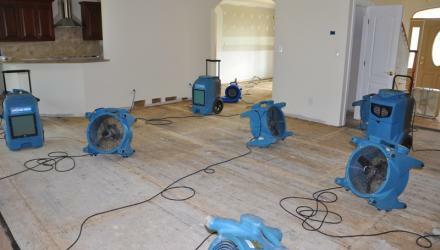 While the water damage restoration process varies with each situation, there are a number of steps we usually take to restore the affected area to its previous condition. Initial Inspection: First, we do an initial inspection of the area and figure out the best course of action. We will take thorough documentation of the area for your insurance claim process and can assist you in filling out and submitting the necessary documents to your insurance company. Water Extraction: Next, we will immediately start to extract any standing water or sewage debris. We move wet furniture to a safe, dry area. 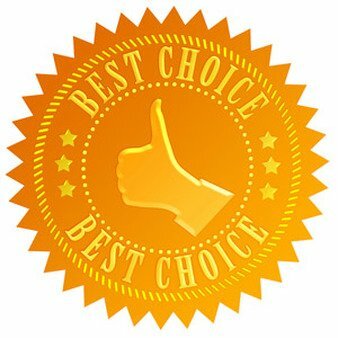 We use special techniques to check for mold or other microbial substances. The Drying and Sanitizing Process: Once we sanitize and disinfect the area and it is fully prepped, then after we begin the drying process using state-of-the-art dehumidification and drying equipment. Floods can happen at anytime and can have a devastating effect. They are caused by the rising of ground water levels, burst water drains, hillside run-off from sudden rainfall and flooding from the overflowing of rivers and seas. Flood water can cause varying degrees of damage depending on its severity. Floors, walls, furniture, soft furnishings and even building structures can be affected. After a flood it is vital that the premises is assessed immediately and that all water affected items are removed and dried quickly. This helps to prevent and reduce any further structural damage, whilst limiting the chance of mould growth developing which can lead to health issues arising such as asthma and pneumonia. Flood water can often contain hazardous sewage as excess water entering the sewers can cause them to rupture. Lotus Water Damage Cleaning in Cannon Hill understands the importance of dealing with the damage and harmful remnants that can be left behind after a flood and provides a fast and proficient clean up solution to both commercial and residential property owners. Lotus Water Damage Cleaning's trained professionals quickly and efficiently ensure your property and equipment is cleaned and disinfected to its pre-incident state helping to minimise the disruption caused by flooding and eliminate any health risks associated with hazardous flood waters. If required specialist odour removal equipment is used to ensure a hygienic and fresh smelling environment is reinstated. Before and after disinfection swabbing is also carried out depending on the level of certification that is required for the premises and equipment. When it comes to comprehensively disinfecting whole rooms and buildings, our specialists are equipped with our innovative technology. By cleansing the air and surfaces of contaminated floors, walls and surfaces, rooms will be safe to inhabit and begin the rebuilding process. Not only does our technology combat bacteria and other healthcare risks caused by flood damage, our service leaves behind a refreshing residual scent - sorely needed when fighting damp odours and musty smells that are inherent with flood damage. What can you do in Flood Water Damage? Before you do anything, switch off your electricity supply at the mains and do not touch any outlets. Make sure you are protected - Flood water can contain sewage, chemicals and animal waste so ensure you are wearing protective clothing and wellington boots if you are around it. This was my first experience with Lotus Cleaning. The men made a difficult situation easier to handle. They were on time and answered any questions I had. I would definitely recommend them. Thank you.